Upon first glance, Insanely Great Products FrameShift stands look more like automotive parts for a Ferrari than a device for propping up iOS devices. I've written about Insanely Great Products before, a California-based company that produces clever, American-made products. So I wasn't surprised its new FrameShift stands — made for the iPad as well as for the iPad mini and iPhone 5 — are cool and well made. 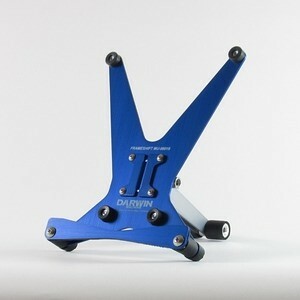 The stands are made of lightweight aluminum, foam, rubber, nuts, and bolts. They flex into many positions so you can accommodate a variety of tablets, in or out of cases. 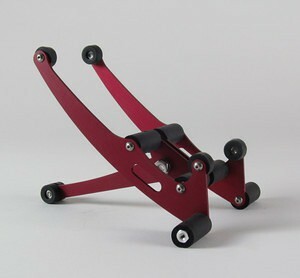 Continuing with Insanely Great's eclectic naming convention, it named the new stands FrameShift, for they are reminiscent of a racecar shifter. 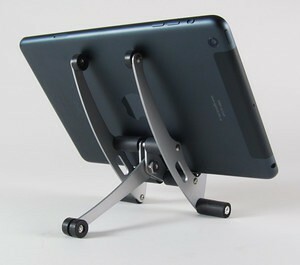 If you want to treat your tablet to a stylish stand, you'd be insane not to look at Insanely Great Products!